Raman Singh's daughter-in-law was admitted to a government-run hospital in Raipur for delivery. Raipur: Chhattisgarh Chief Minister Raman Singh is facing attack from opposition Congress, which alleges that he obtained VIP treatment for his daughter-in-law at a government-run hospital in Raipur at the cost of other patients. Aishwarya Singh, who was expecting a baby, was admitted to Raipur's Bhimrao Ambedkar Memorial hospital, where four babies had died in August, allegedly after an attendant got drunk on duty and oxygen supply stopped for 30 minutes. Mr Singh's party, the BJP, argues that it is an honour for the hospital that the Chief Minister has chosen to go there instead of an expensive private hospital. On Friday, the entire second floor of the 700-bed hospital had to be vacated for the use of Ms Singh. The expecting mother was given a special room. Three other rooms were converted into security centres, which are occupied by the nearly 50 police personnel. A section of the 1,200 patients, who were admitted in the hospital at the time, were shifted to the first floor. In the overcrowded labour ward, two women had to share a bed. Even some doctors, who were recovering from food poisoning, had to be moved. 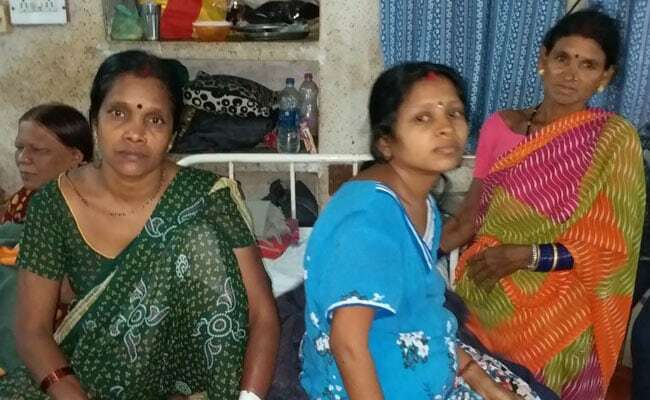 In the overcrowded labour ward of the Raipur hospital, two women had to share a bed. "We were admitted on Friday and got only one bed... It is difficult to share a bed. We told them, but they said you will have to manage. Nobody is listening to us," said one of the patients. "We have a sick room and as per provisions they should have admitted all of us to the sick room, but they have converted the sick room to police control room," said one of the ailing doctors. Admitting that the hospital was already overcrowded, hospital superintendent Dr Vivek Chaudhury said, "There is a lack of space, new construction is going on... there is a problem in the delivery ward, we made an arrangement for 30 more". As the Chief Minister visited his new grand-daughter on Saturday, the opposition Congress alleged that Aishwarya Singh was given preferential treatment. "We welcome the new member in his family, but the Chief Minister's daughter-in-law got VIP treatment," said state Congress spokesperson Vikash Tiwari. "The entire hospital was turned like into a cantonment. Two pregnant women are being forced to share one bed. This is shameful and apathetic treatment for those who elected them to power." State Health minister Ajay Chandrakar, however, rejected the allegations, saying it was a proud moment for the hospital - a view endorsed by the hospital authorities. "It is an honour that the Chief Minister went to a government hospital... there are so many private options but he chose the Ambedkar hospital for the delivery," Mr Chandrakar said.